The pre-season predictions are starting to trickle in, and if these things amount to anything more than throwing chicken guts against the wall and reading the future in the resulting patterns, then the Sens are screwed. The Hockey News picked Ottawa to finish seventh in the Atlantic, lower than Toronto, whom they finished four points better than last season, and Florida, over whom they finished a whopping 22 points higher. Toronto: ok, fine. They’re a bubble team just like Ottawa, and they added some useful depth players in the off-season; I can live with the prediction. But Florida? Winner of the draft lottery Florida? Either The Hockey News thinks Florida is going to be much, much better, or that Ottawa is going to be much, much worse. I get that some players have moved in and some out, but whenever you see an analyst pick a team to see a 20-point swing in their fortune, in either direction, you know it’s unlikely to come about. What we’re seeing is more of what we get every year, which is indicative of the shortcomings with which all of us observers on the wrong side of the dressing room door must contend. We don’t know what sort of changes in tactics any team has planned, and so we resort to a simple game of resource management. If a team gains a player or two, they’re better. If not, they aren’t. It’s not too much more sophisticated to the approach I employ when playing NHL 2011 and I replace a player with one rating for a player with a higher one. It’s dull, simplistic math, and sometimes results in a glowing prediction (Senators without Karlsson and Spezza made playoffs two seasons ago, so with them they must be great), and sometimes, as in this year, a less-than-enthusiastic response (no Spezza and Hemsky? They’re cooked). Forget that the logic employed to guess that the Senators would be a contender last year is here employed again to predict the exact opposite. It’s befuddling. But if we do know anything, it’s that the team responded well to being the underdog a couple of seasons ago. 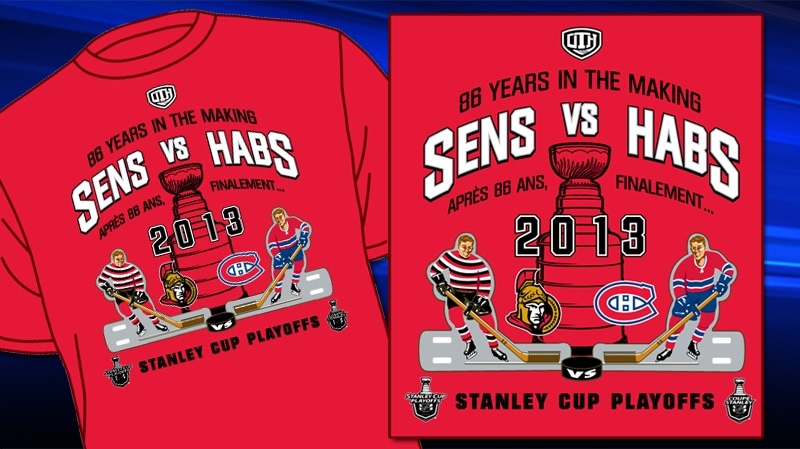 #peskysens was one of the only team slogans to develop organically in a long history of contrived marketing campaigns and misguided attempts at authenticity. You didn’t see players with “United in Red” (or whatever) emblazoned on their chest. And that’s something that we fans, at the very least, can root for. I don’t think much about our first round win over the Tampa Bay Lightning in 2006, in a season when Ottawa led the Eastern conference with 113 points. I sure as hell still think about that 2013 first round win over the better, or at least more skilled, Habs. So as each new prediction hits the wire, I personally am rooting for the naysayers and the gloom. Bring on the negativity. It’s the season for harmless predictions, and only good can come of every professional prognosticator underestimating this team yet again. Thanks to a new business partnership brokered by Cyril Leeder and the good people at Penske Truck Rental, our boys will be officially called the #PenskeSens this season. This comment brought to you in part by Penske: Official Moving Truck Supplier of your Ottawa Senators. For more information visit http://www.pensketruckrental.com/ or your nearest Penske location today!